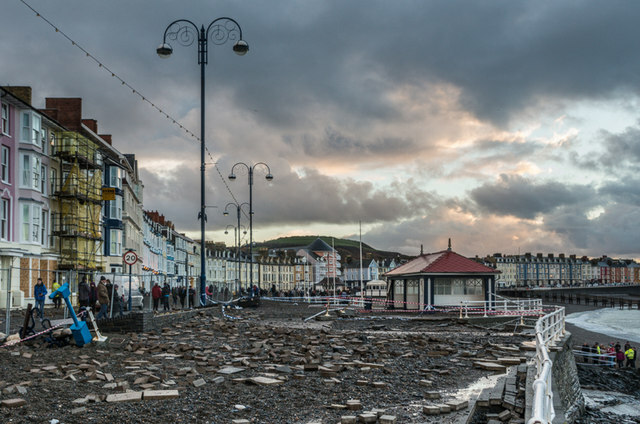 This time last year Britain was experiencing the first wave of flooding and destruction caused by a storm surge along the East Coast and North coast of Wales and the heavy rain which followed (Thorne, 2014: 297). As we were to find out this was just the beginning of some of the biggest storms the UK has seen for two decades (Jones et al., 2014) and as a student at Aberystwyth University I experienced some of the storm damage first hand, see Figure 1. A recent themed section within The Geographical Journal presented a number of articles arranged around the theme of the winter storms and flooding in order to give a better understanding of the dynamics and interrelations behind them. 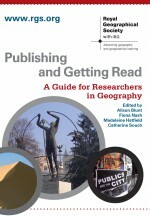 In particular this shows the way in which the journal promotes the roles of geography and geographers in public and policy debates (Dodds, 2014: 294). The flooding initiated a number of debates, as Colin Thorne (2014) explains there were debates about blame with fingers being pointed at farmers and politicians (BBC News, 2014a; Monbiot, 2014) and debates about whether the UK is now experiencing the results of climate change, both debates are inherently geographical as are the solutions (Thorne, 2014: 297). Thorne goes on to conclude that the solutions to these issues require joined up governance, action and policy underpinned by science and engineering research (p306). This means that the Government needs to work with local stakeholders, scientists and engineers to work out long term solutions to flooding in the UK (p307). One such area of scientific research explained in detail in this issue is concerned with floodplain generation, John Lewin (p317) explains that understanding these semi-natural systems and their response to extreme events is important in contributing to mitigation efforts. Similarly Elisabeth Stephens and Hannah Cloke (2014: 310) discuss scientific and organisational developments with reference to the Flood Forecasting Centre highlighting the improvements which were utilised during the winter floods but also the challenges that remain for flood forecasting to reach its full potential. One particular challenge is for flood forecasting to find a way, “to link forecast thresholds to flood impacts and…prompt organisations involved to operate within a probabilistic mindset (p314). 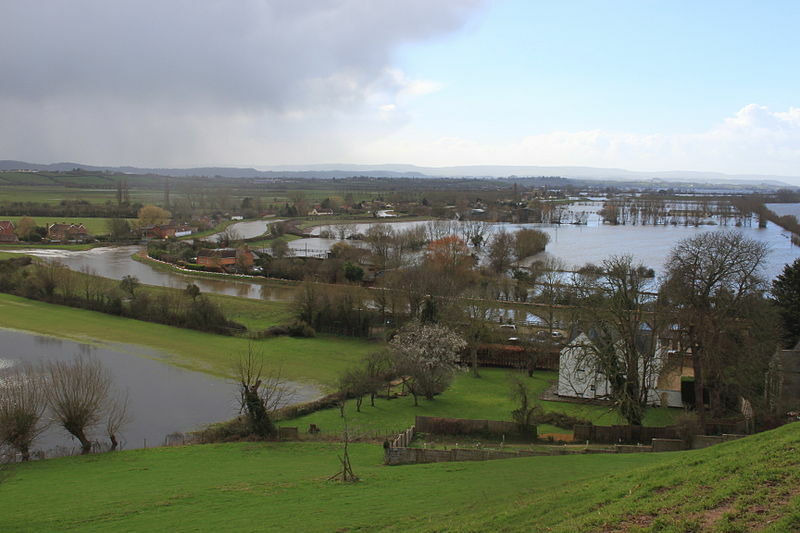 One of the most widely documented areas affected by the flooding was the Somerset Levels (BBC News, 2014b), see Figure 2. above. 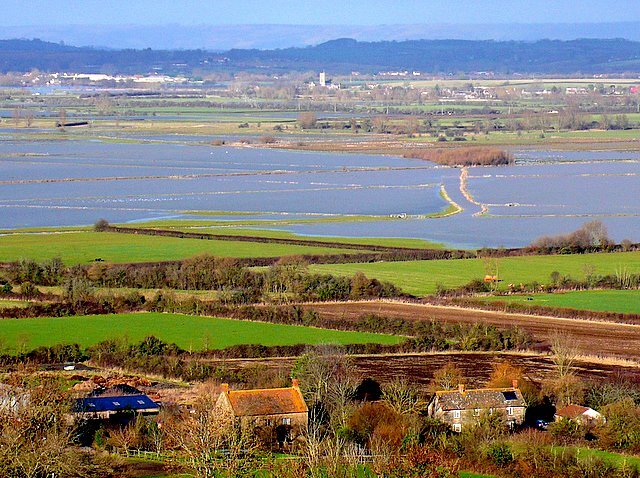 Hugh Clout situates this devastating flooding within a longer time frame through a re-examination of ‘The draining of the Somerset Levels’ by the late Michael Williams. Williams’ book explains the struggles of “landowners and farmers to manage floodwater and reclaim land from medieval times to the second half of the twentieth century” (p338). Similarly McEwen, Jones and Robertson provide a geographically grounded discussion drawing on arts and humanities and social science research projects alongside the physical and environmental sciences to discuss our disciplines wide and interconnected contribution to flooding on the Levels (p326). This themed section in the Geographical Journal is in itself an illustration of this interconnection, whilst John Lewin’s article presents a physical science explanation of floodplain development and subsequent flooding contextualises the winter events within a longer timescale, so too does Clout’s reading of Williams’ personal account of the changing landscape. All of the articles in this themed section draw together to show the dynamic and comprehensive geographical reading of the winter storms in a way that, “…inspire[s] wider geographical reflection about how flooding gets engineered, embodied, experienced and understood elsewhere” (Dodds, 2014: 296). This entry was posted in Uncategorized on December 9, 2014 by willandrews91.